A most exceptional Four bedroom detached family home located on a very popular development with many superb features including generous sized bedrooms, open plan kitchen/breakfast room, en-suite to the master bedroom, level lawned gardens and located within distance to shops, schools and Yatton railway station. Priced to sell and certain to attract lots of early interest. 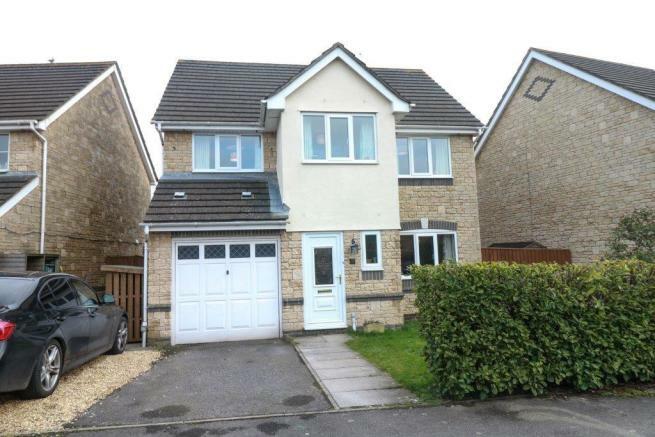 The ground floor accommodation comprises entrance hallway, two piece cloakroom, square shaped main living room with feature fireplace, separate dining/play room, superb open plan kitchen/breakfast room and courtesy door to the integral single garage. 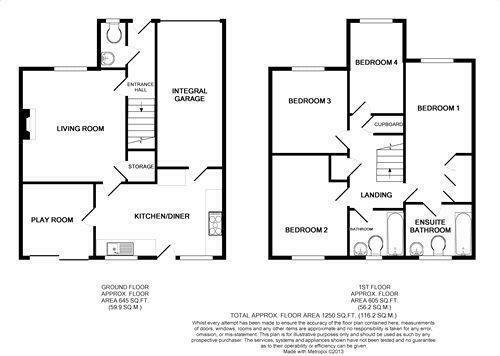 First floor comprises landing with storage and boiler cupboard, master bedroom with wardrobes and en-suite bathroom, three further bedrooms and main bathroom with shower over. Externally the front garden is lawned with low level hedging, parking for two cars, access to the garage and gated access to the main rear garden which is fully enclosed and has a patio and lawned garden. 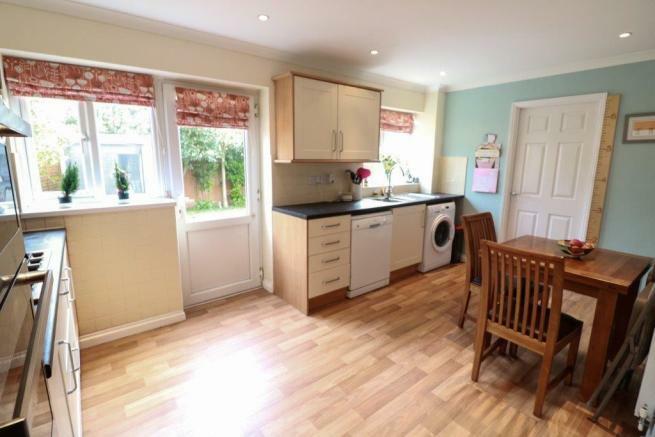 There is also gas central heating and double glazing, Vendors have found. EPC-D.
Access via main double glazed door to the hallway, access doors to the cloakroom and living room, radiator and stairs to the first floor. 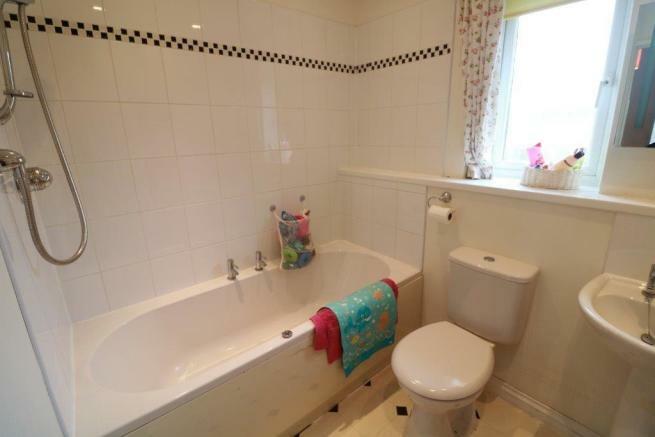 Two piece suite comprising low level wc, wash hand basin, tiled splash backs, radiator, double glazed window. Square shaped reception with front aspect double glazed window, feature fireplace with marble inset hearth and gas coal effect fire, coved ceiling, double radiator, storage cupboard under the stairs, door to the kitchen/dining room. 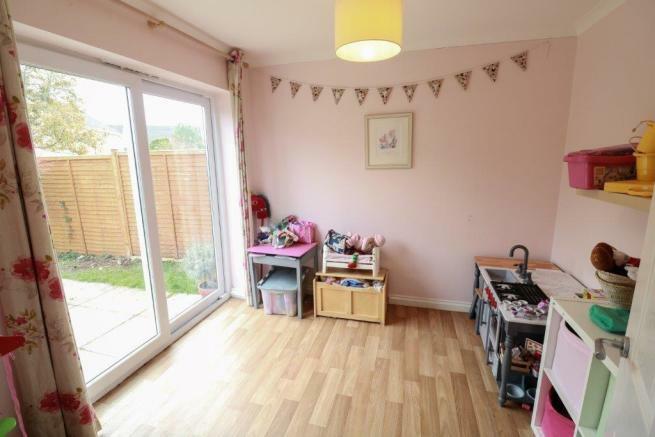 Currently used as a playroom, double glazed sliding doors onto the garden, radiator. A superb room for family or social entertaining with a range of fitted units complimented with matching work surfaces, tiled splash backs, sink unit with mixer set tap, base and eye level units, drawers, built in double oven, 5 ring gas hob, space for washing machine, dishwasher and fridge/freezer. There is also space for a table, radiator, double glazed windows and door to the garden, courtesy door to the garage and radiator. Access to the loft space, spindling surround the stairs, airing cupboard with shelving, radiator. 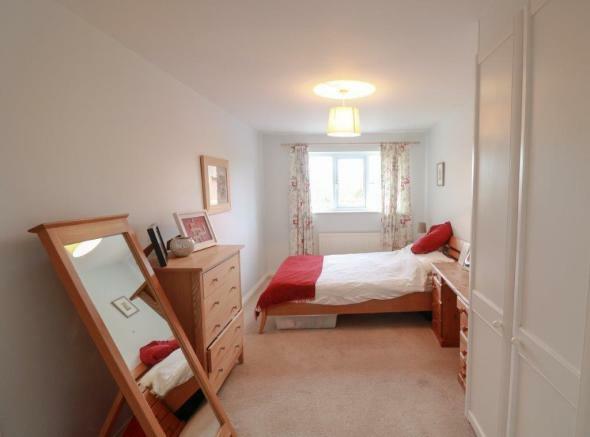 Great size master bedroom with range of built in wardrobes, radiator, door to en-suite front aspect double glazed window. 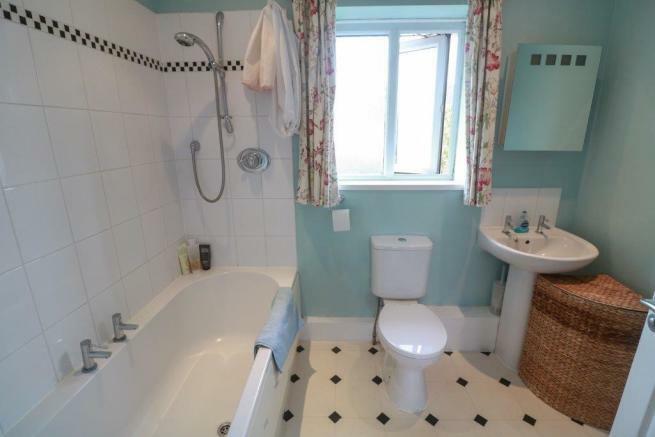 Fitted with a three piece suite finished with tiled splash backs, panel enclosed bath with shower above, low level wc, wash hand basin, radiator, spotlights, double glazed window. 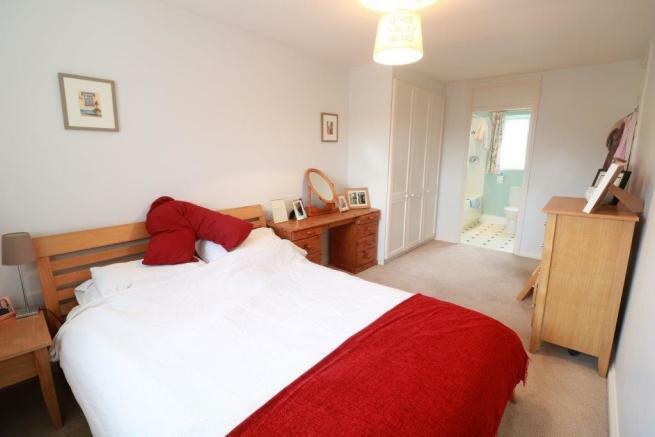 Double size second bedroom with rear aspect double glazed window, radiator. Also double size with front aspect double glazed window, radiator. Great size which could fit a double bed, currently used as an office, radiator, front aspect double glazed window. Main three suite comprising panel enclosed bath, tiled splash backs, pedestal wash hand basin, low level wc, radiator, double glazed window. 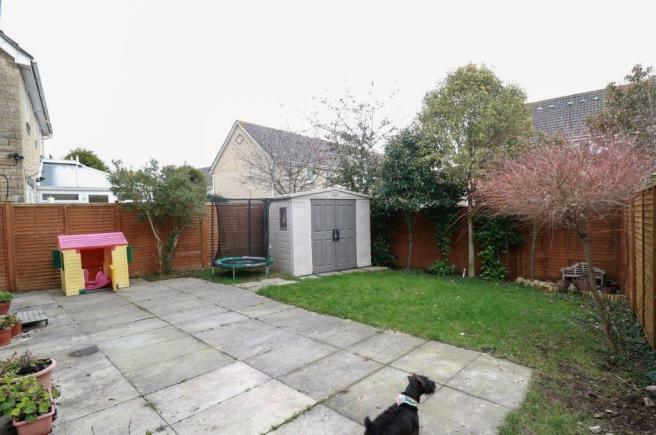 Lawned garden with low level privacy hedging, side gates to the rear garden, parking for two cars, access to the garage. 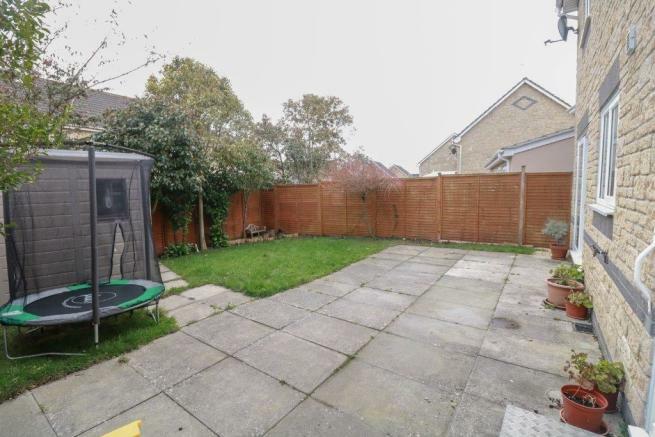 Safe and enclosed by fencing, patio and lawned garden, outside tap and lighting. Timber shed, shrubs and small trees. Up and over door, power and light, wall mounted boiler, courtesy door to the kitchen/breakfast room. Disclaimer - Property reference 13608498. The information displayed about this property comprises a property advertisement. Rightmove.co.uk makes no warranty as to the accuracy or completeness of the advertisement or any linked or associated information, and Rightmove has no control over the content. This property advertisement does not constitute property particulars. 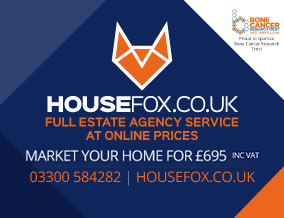 The information is provided and maintained by House Fox LTD, Worle. Please contact the selling agent or developer directly to obtain any information which may be available under the terms of The Energy Performance of Buildings (Certificates and Inspections) (England and Wales) Regulations 2007 or the Home Report if in relation to a residential property in Scotland.